There are plenty of people telling you how to start an online business and sell a product online, but how many people tell you what NOT to do when it comes to creating a successful online business? I’m going to tell you what hasn’t worked for me. Sure, I have had much success with my online business, but as I look back, there are a lot of things I would have done differently. If you want to be successful, you will need to find a niche. You can’t just be another online business that lists your products among the masses and hopes to get a percentage of the sales. You need to be smarter than that. Ideally, it would be great if your product is so unique that someone in China can’t start making it and selling it on eBay or Amazon. Even if you have fantastic customer service, if you merely distribute someone else’s products, you will be competing on price with many other sites. You do not want to compete on price alone because you will starve your way to the bottom. There are too many big fish out there that can play the waiting game selling at a near loss until you go belly up. I have tried it. You may enjoy a few days or weeks of sales until your competition finds out what you are selling things for and drops their price as well. It’s just not a good business plan. Is your industry growing or shrinking? We all enjoy a wave of selling for a time, especially in a market where the winds are blowing our way, but you have to keep an eye on your industry and where it is headed. Is it becoming saturated or is there still plenty of margins to be made? You don’t want to be in the sheet music business when tablets are being used by many to store all of their music. You better know where your industry is headed. You can’t rest on what has worked in the past without keeping an eye on the future. Are you seeing your competition getting out of the business? If so, why? Is there more opportunity this year than there was last year or 5 years ago? Make sure that you can deliver your products to market quickly and that you can keep sufficient inventory to keep delivery times quick. Today, you are competing with ridiculous delivery times. Amazon even has the same day service in some localities. People are now expecting their order expedited at no additional charge. Forget trying to compete with Amazon on this one unless you are only selling to your local market. If you are only serving the local market, have delivery service that fights against the big boys, but put the cost of this service within the price of your product. You have to have everything from ordering and receiving your product to downloading orders en masse perfected. If you try and sell everything from many different vendors, you will have a hard time meeting the minimums that these vendors require. You will also be spread too thin in areas like product knowledge, sufficient inventory, maintaining pricing and the ability to add great content to your existing pages. Do you love what you are selling? Is it something that you get out of the bed looking forward to doing? Are you excited when you talk to others about what you are doing? I’m not talking about how much money you are making. Nobody wants to hear about that. When you do speak to a customer, do you leave that conversation feeling like that person is much more productive for having talked to you? Do you feel fulfilled at the end of the day? 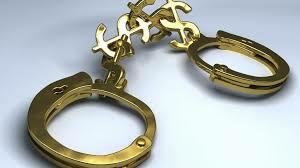 It doesn’t matter how much you earn, if you hate what you are doing, you have made for yourself golden handcuffs. Your online business should be a way for you to get your products to more people, not just getting more people to buy your products. Of course, we want more people to buy our products, but the knowledge and experience that we offer as well as the actual products that we deliver should be an extension of ourselves, something that we are proud to ship. To learn how to compete directly with and beat Amazon, click here. This is such wonderful advice! Especially like the idea about not diversifying too fast. Diversification can be good, but focusing on what you do best is more important. Look at all of the businesses that move away from their core products and lost customers. Thank you for the tips! I will venture out to online business in the future and this article helps a lot! Some extremely valid points here Gill. Golden handcuffs…love it! I honestly don’t think I’d last two minutes in the physical goods business. It’s a mammoth task! This is really good and informative. You have created the article very well. The tips are really good. Great advice here! having an online business is tough so being clued up on the ways to make it a real success are so helpful. These are great tips! Actually this also to bloggers. We really need to have a niche to stand out. These are great advice especially the last one. If you love your work and your product, you will work hard and push the limits to succeed. I used to strugle with my niche a lot the last few years. I wanted to post about fashion , art and travels which are things that cannot be combined easily. You are right. I am not selling goods but I do use affiliates and “sell myself” as a blogger. Having a niche in the early days is very important. Better to diversify when you are established. Such a great article to read! These are amazing tips, especially about loving what you’re doing. So many people forget about joy and try to hard to get revenue in the first place. Good advice here for those who are in online businesses. I think a good future blog would be to write about failings and what you learnt from them and how you changed them to get better. Several fall at these hurdles, how do you pick yourself back up? I did write an article about this a while back, but it would be good to expand upon it. I think we don’t think often enough about what our niche is and how we can brand properly to represent that niche. We get spread out and go in too many directions far too often. These are great things to think about to make a successful business strategy. Amazing tips for successful online store! I tried doing it but I guess I need to be more prepared to be successful. Great advice for new business owners, and experienced ones who might need to take a hard look at the success of their business. I will use some of these tips in considering how my blog is progressing, thank you! very creative website. It has all the articles needed. Wish the website the very best. Thanks for sharing these helpful pieces of advice. These would really help those who are just starting and also the ones who are struggling to put their brand out there. This is a really useful post with lots of info on setting up a successful business. This is mostly what I’ve done for my etsy shop and it was successful for the most part. Great advice and thank you for the tips! It is really good and informative. Great tips! I really like the concept of “Love your product” because if you don’t actually believe/love what you are selling, you can’t expect other people to love it or believe in it! It has to start with you and sending the right energy and message to the people who will eventually want to get your products. When I started my business, the mistake I made was get too many things started at once. Luckily, after a few initial hiccups, I was able to manage it all. However, most online businesses suffer because of trying to diversify too quickly like you said! Focusing on what we do well is always important. Don’t feel the pressure of copying what others are doing. Don’t diversify too fast! Oh my! I’ll agree with that because it’s so much better to actually develop your niche first before you can do that.